A one-on-one (1:1) meeting is an ongoing feedback strategy to keep both the manager and the employee updated on the employee’s progress, an opportunity to develop employees’ skills, and gives the employee a chance to discuss workplace challenges with their manager. Much more informal than annual performance reviews, but more structured than real-time feedback, these meetings focus on solutions to day-to-day problems as well as help an employee develop strategies of their own in the long run. These regular meetings are considered essential for employee engagement. Effective communication is important in any workplace. However, many managers don’t always communicate with their employees nearly as often as they could. It’s easy to get caught up in day-to-day business and only call on employees when you need something. But calling on an employee only when you need something done is the wrong approach to managing human capital. According to a survey cited by the Harvard Business Review, research shows the main complaints employees have about their managers is not enough communication, particularly around both positive and negative feedback, clear direction, and making time to meet with the employee. That’s why it’s so important to schedule routine 1:1 meetings. That way, you’re not just checking in when something goes wrong or right, but habitually on a long-term, regular basis. It's a key factor to a manager and employee working relationship. For Monster, Bruce Tulgan of RainmakerThinking Inc. writes that in an ideal world, a manager would meet with their employees individually on a daily basis. However, this isn’t possible, especially depending on the number of direct reports you have and type of environment you work in. The key to a 1:1 is consistency. Weekly meetings are a great goal, but you can also start off with biweekly or monthly 1:1 check-ins if you don’t currently hold weekly check-in meetings with employees. The best way to find time is to make time. When managing your own work schedule, save time for your employees weeks and months in advance. 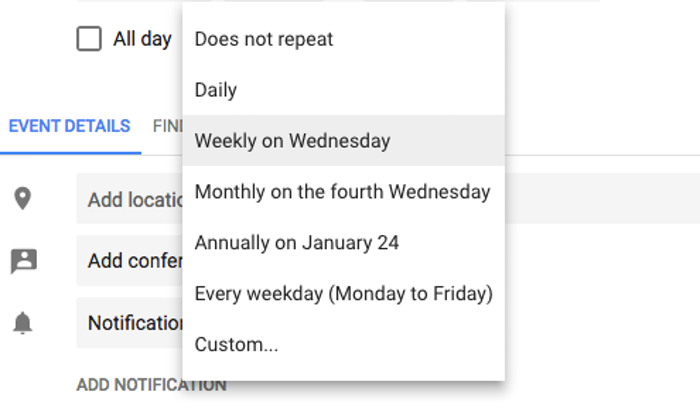 For instance, if you utilize Google calendar, choose to make 1:1 meetings on a recurring basis weekly, monthly, or a customized frequency. Invite your employee to the calendar event as well. The small gesture shows you’re invested in your employee’s development, even if the meeting is set a bit in advance. Likewise, understand the consequences of cancelling a 1:1 meeting at the last minute. When you’ve already invested so much into blocking out times for your employee, they could be frustrated when you don’t deliver. Making time for your 1:1 is imperative to build trust with your employee. Do you have anything you’d like to discuss in our next meeting? How have things changed since last time? Are you facing any difficulties in your day-to-day workflow? Have you had any office victories since we last spoke? How is it going with your fellow team members? It helps to change up the setting of these one-on-one meetings compared to other work meetings. We’ve written the case for getting out of the office: go to a coffee shop, grab lunch, take a walk, or sit somewhere outdoors. The change of scenery not only boosts your health, it can also set up a chance to reorient both you and your employee to the more informal, more relationship-based meeting. A great one-on-one is one where the employee feels really at ease opening up, which may be difficult in a busy office. To help track an employee’s progress on-the-go, take notes of your own during these meetings. These notes can be used to reference their progress in the future to illustrate their growth. This tiny detail proves to an employee you’re committed to their professional development. The goals of these 1:1 meetings should be employee-oriented and relationship-driven. It’s your chance to focus on the employee’s needs and how they benefit the company. For Inc., Kathy Rapp names three qualities of a relationship-based leader: practices honest and open communication, is decisive to build consensus, and thoughtfully responds to conflicts. All these qualities orient the other party—employees—in an office environment. 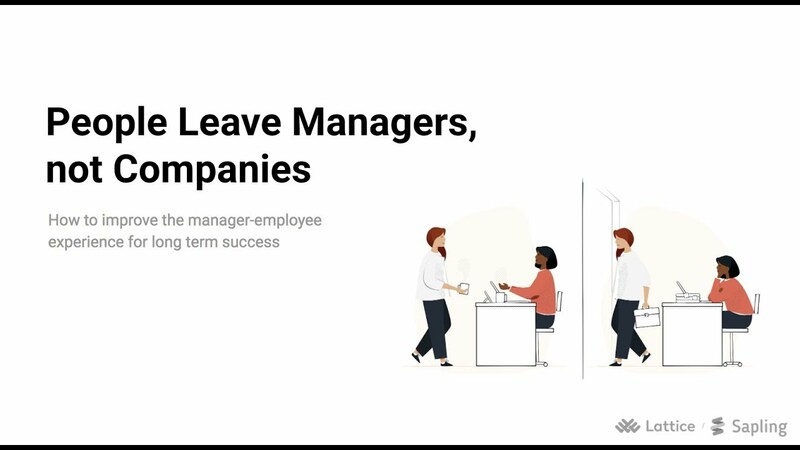 Using these 1:1s to track progress towards long-term goals and the employee’s happiness is a management strategy to help maximize their output and keep them happy. What are your plans and priorities for next week? Ultimately, the way you integrate 1:1s into your management style is up to you. 1:1s give employees the time to provide status updates on their projects to managers. But with a little extra forethought, these conversations can be great opportunities to talk to your employee about longer-term development such as career development and job satisfaction.